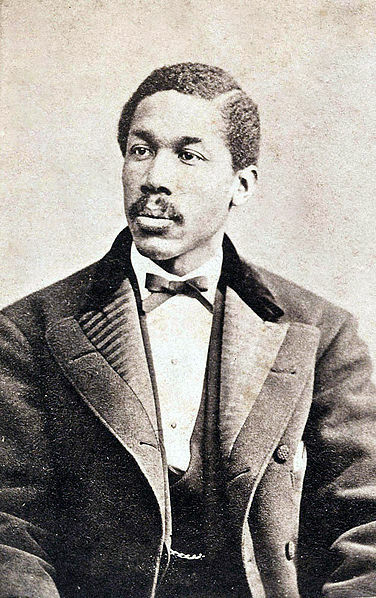 Octavius Catto was one of 150 black men turned away by Governor Andrew Curtin when they tried to enlist. In response to intelligence that reported the concentration of Robert E. Lee’s Army of Northern Virginia on the state’s southern border, Governor Andrew Curtin issued a call for men to report to the defense of the state. The next day, June 17th, 1863, one hundred and fifty men of color boarded trains in Philadelphia and traveled to Harrisburg to report for duty but returned the next day after Governor Curtin refused their service. Prominent among the rejected recruits were men associated with the African-American literary society, the Banneker Institute. Many of these men joined the 3rd USCT. “Local Affairs,” Public Ledger, June 17, 1863, 1; Dubin and Biddle, Tasting Freedom, 292-293. 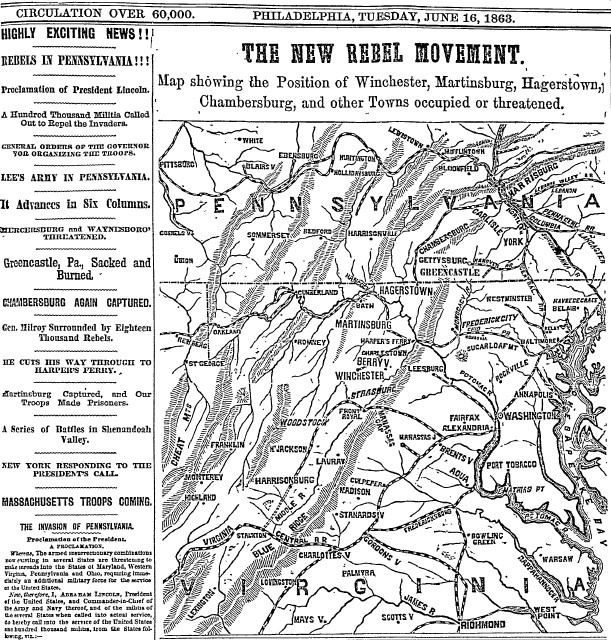 The Philadelphia Inquirer announced broke the news of the invasion and announced Governor Curtin’s call for troops on June 16, 1863. By June 16th, newspaper stories like this one confirmed Philadelphians worst fears–they were in the midst of a Confederate invasion. 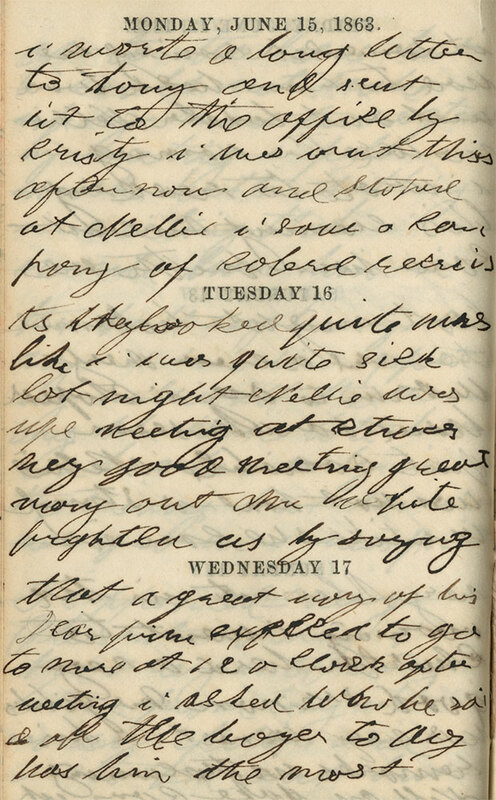 Emilie also elaborates on these events in the memoranda section of her diary, to view this entry, click here.